FLORENCE, ITALY—During my lifetime, I have visited Paris, Rome, Athens, Dresden, Milan, Florence, and Oxford with- out leaving the southern United States. In fact, on a clear day, I’ve been able to see all of these cities from Lookout Mountain at Rock City. But I’ve recently learned that other nations throughout the world also have cities by these names, although “fur-rah-nurs” tend to mispronounce them. For example, Italians have a city called “Milan”, although they pronounce it “Muh-LAN”, which as a west Tennessee boy I know is not the way you say “My-lun”! For the past couple weeks, Judge Claudia and I have been on vacation in Italy, where we have fallen in love with a town with the exact same name as a town in Alabama which is known for its Robert Trent Jones golf course. I have not been able to find a golf course in Florence, Italy, although I’m sure there is one somewhere here that was probably designed by Michelangelo. You can cut the history in this city with a knife, or more accurately a sculptor’s chisel. 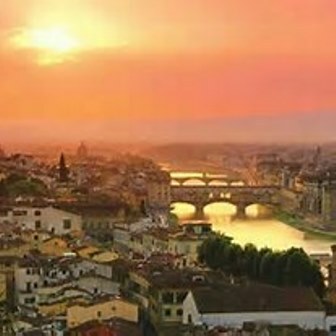 Florence was the cradle of the Renaissance, the artistic and cultural re-awakening of the 15th century. Its literary heritage is one of Dante, Petrarch, and Machiavelli. And Michelangelo, Botticelli, and Donatello made Florence arguably the artistic capital of the world. One of my favorite songs is Sam Cooke’s 1960 classic, Don’t Know Much About History. While I was a history major at the University of Tennessee (Bachelor of Conservative Arts, 1974) I have realized during my visit to this extraordinary city that like Sam, I really don’t know much about history, and I hope it’s not too late to learn. I also know very little about art. When I was growing up in Frayser, Tennessee, works of art were either paint-by-number water colors or dogs playing cards on a velvet background. Over the last few days, Judge Claudia and I have had a crash course in Renaissance art and history. We have toured the Uffizi, an art gallery built in 1560 that houses the greatest collection of Italian Renaissance paintings. We have also spent some time with David, Michelangelo’s most famous work completed in 1504, and now found at the Galleria Dell ‘Accademia. It was nice to finally meet David, since I have admired him since I was a little boy in Sunday school over 50 years agoand heard about how he slew Goliath with his sling shot. In Michelangelo’s work, David is wearing a sling shot around his shoulder, but he is wearing nothing else. I always thought it was amazing that David was able to slay the giant Goliath, but it’s even more amazing now that Iknow he did it while he was buck naked. We Memphians (Tennessee, not Egypt) have long proudly referred to our hometown as “The City of Churches.” But I’m afraid Florence may have us beat on this score. The churches in Florence are even more impressive than Bellevue Baptist or Hope Presbyterian. Claudia and I have said prayers in Cappella Brancacci, Convento Di San Marco, San Lorenzo, Duomo and Baptistry (which despite the name, is not a Baptist church), Santa Maria Novella, and numerous other magnificent Cathedrals where the Vescovo brothers would feel right at home. And Claudia and I have eaten like kings, or more accurately, popes. As an old Baptist, I have a confession to make. While in Florence I have consumed more red wine than Jesus produced at the wedding in Canaan. This old UT history major has also spent several hours in the Palazzo Pitti, the palatial home of the Medici family, a bunch of bankers who were apparently more powerful than Jake Butcher in his prime. It has been quite an education for a boy from Memphis (again, Tennessee, not Egypt) who up until a few days ago thought that Donatello, Michelangelo, and Botticelli were Teenage Mutant Ninja Turtles. Next week your Italian correspondent will report from Tuscany and a candlelight vigil in Lucca that makes the last night of Elvis Death Week in Memphis (Tennessee, not Egypt) look like a dim flashlight with a weak battery. Until then, buongiorno and ciao! writing a dissertation for dummies: They are used many reviews for the students to spent my summer vacation bills. Everyone needed your reports to get more paths from different blogs and they are chosen to understood our resources. Allen Kimbrough: Billy - this was marvelous. Florence is also one of my favorite cities. BUT the penultimate moment in this piece is the mention of Jake Butcher - my one and only case in Tennessee - ably led throughout out by our friend Howard Vogel. Precious memories...how they linger! Ya'll have fun over yonder in Italy, heah?